75% of visitors add something to their shopping cart but then leave your site. Use cart abandonment recovery to remind them what they left behind. 87% of people who abandon their cart say they would consider returning to purchase. A visitor to your website adds something to their cart but then leaves your site without purchasing. 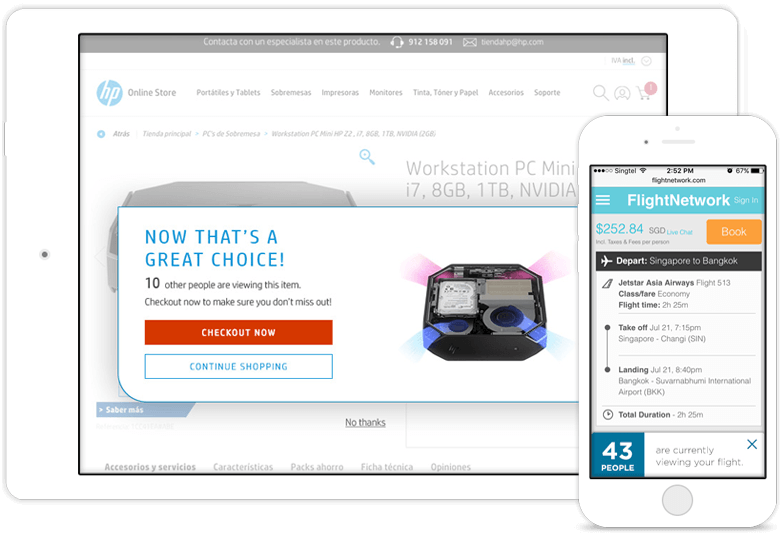 SaleCycle sends a personalized SMS or email with all the details of what they've left behind in the cart. A link will bring them back to a fully populated cart, making it easy for them to finish the purchase. Here's the stuff that makes our cart abandonment emails fly. Dynamic Content	Cart details are just the beginning. Multi-Cycle	If at first you don't succeed.. User Generated Content	Let your customers do the selling for you. Split Testing	Optimized, innovative and impactful. Product Recommendations	Did you see these? 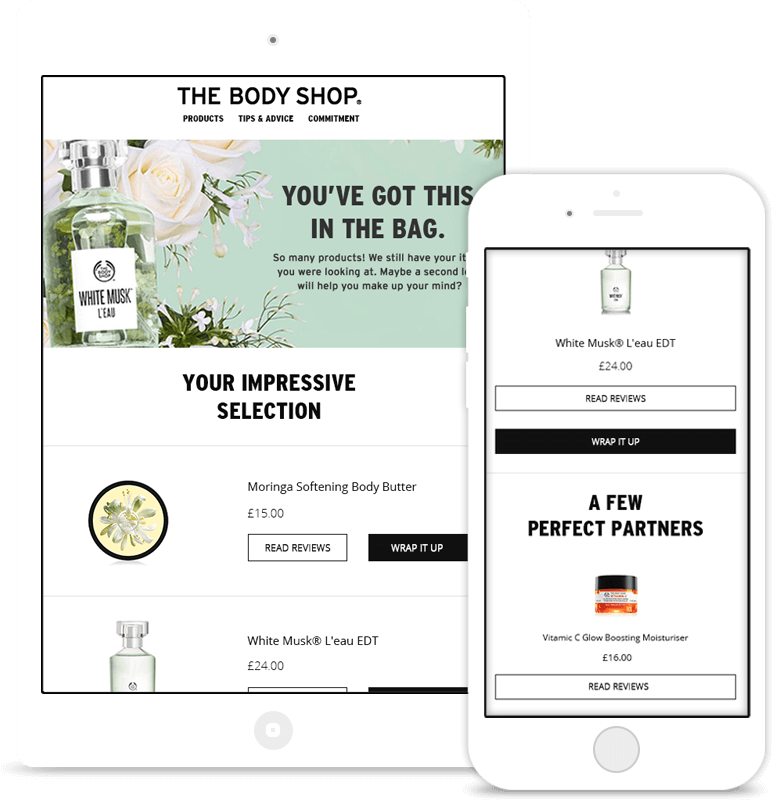 Deliver the most persuasive and relevant content in your emails based on who your shopper is and what they are looking at. Countdown timers to boost conversion. Display live pricing on email open. Change images based on gender or location. Boost the performance of your campaign by adding an extra email or SMS cycle. Improve campaign performance by up to 30%. Send messages 1h, 24h, and 72h after an abandonment. 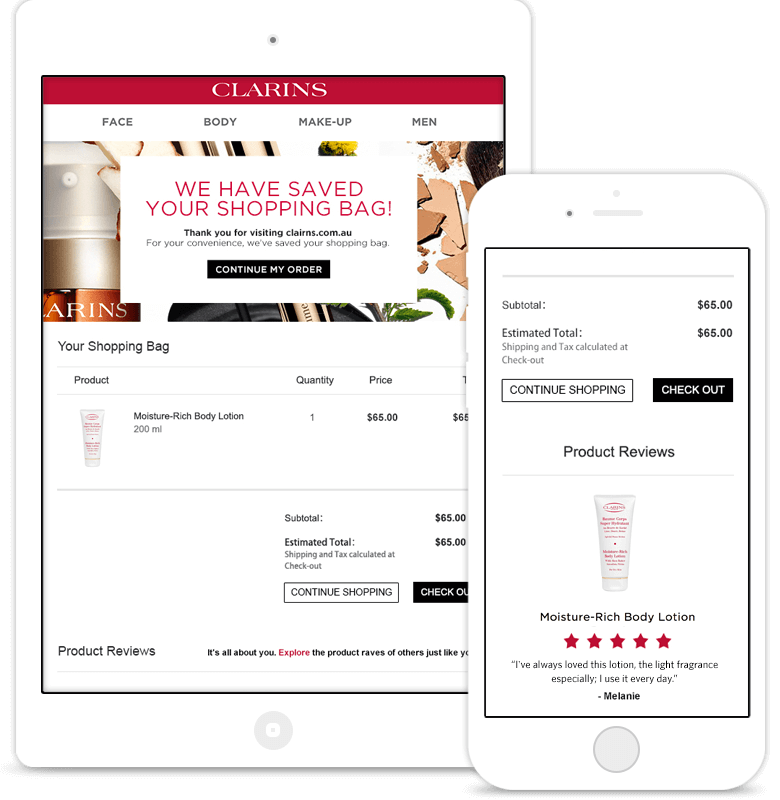 Include product recommendations or an abandonment survey in different cycles. 61% of consumers read reviews before purchasing online. Show yours off and put their minds at ease. 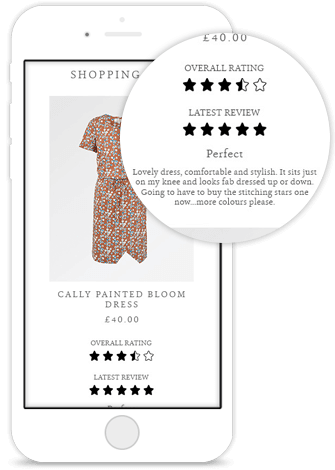 Reassure shoppers with reviews from the leading independent providers. Display genuine product reviews and ratings. Show only recent and positive scores. We don’t do guesswork. Easily and accurately discover your most effective subject lines, images and calls to action. 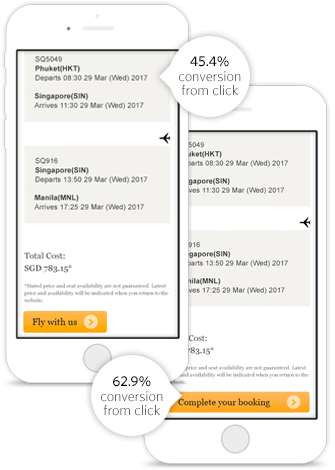 Impact customer behaviour for more opens, clicks and conversions. Let your customers tell you the perfect time to send. Test subject lines to get email open rates up to 60%. Use the abandoned cart information to dynamically suggest similar or complementary products to your shoppers. Personalized based on abandoned items or show other items that were browsed. Show your most popular items first. Increase your average order value by up to 28%. A visitor to your website starts to fill in a form or application but leaves before it is complete. SaleCycle sends a personalized email with a link back to the form, inviting them to complete it when they wish. They’ll come straight back to the spot they left, with all of the information they’ve input still there, making it super simple to complete. Whether you prefer the art, the science, or a bit of both - we’ve got you covered. Client Examples	See live client designs. Case Studies	From the horse's mouth. 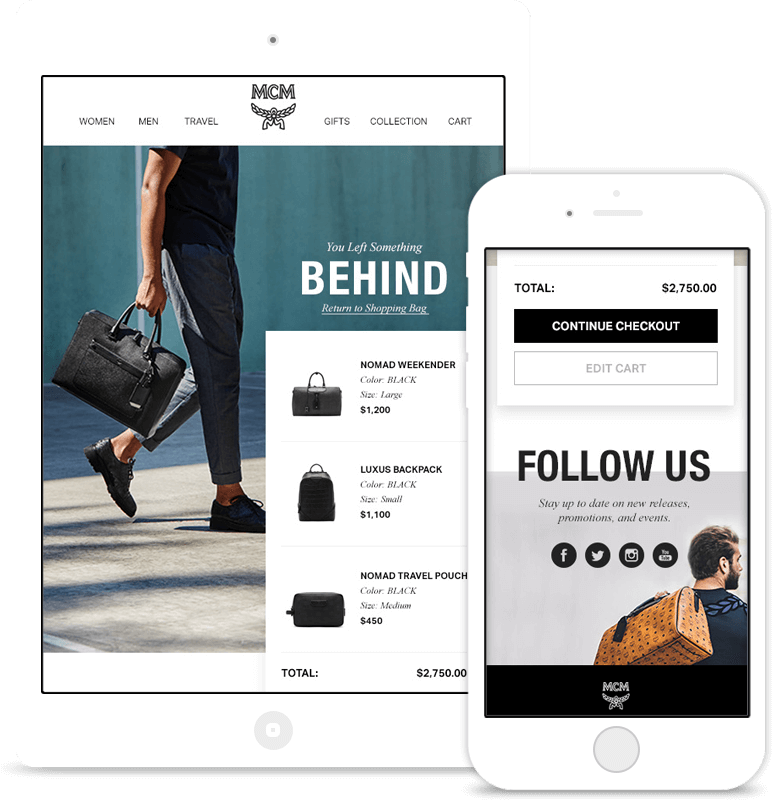 A remarketing email design which is both responsive and dynamic. More than a third of Reiss’ return visitors go on to complete their purchase. Dynamic subject lines give Carlson Rezidor average email open rates of over 53%. Turn your cart abandonment emails into the superstars of your digital marketing roster. 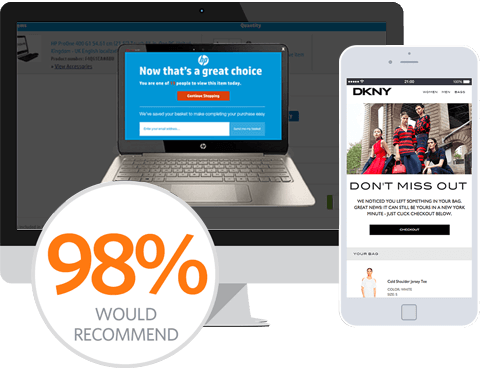 The best examples of remarketing email design from the world’s most inspiring brands. 10 of the most effective headlines you can use in your cart abandonment emails. SaleCycle’s CMO Chris Sheen answers the question. 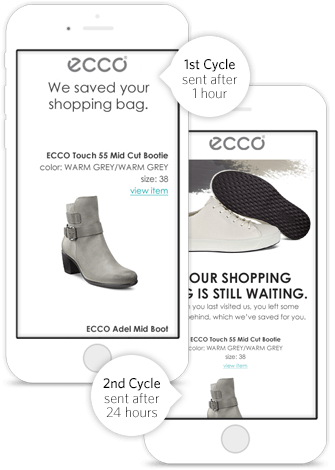 Are You Using Email at Every Stage in Your Customer Journey? 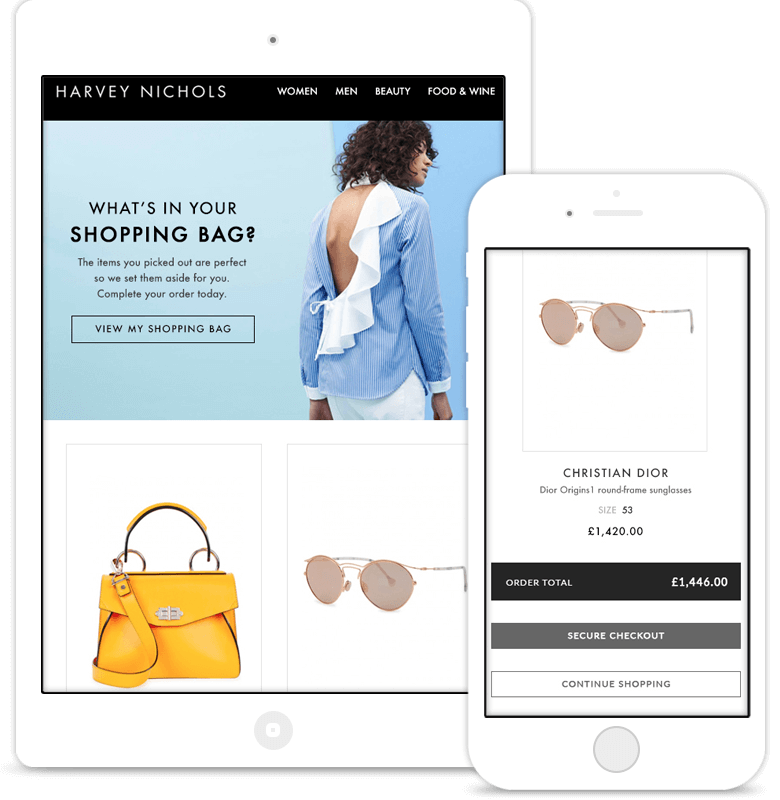 The story of UK luxury retailer’s cart abandonment solution. 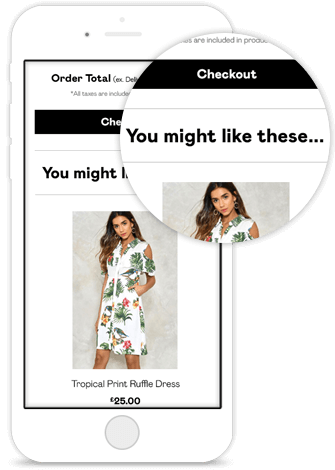 Our guide to how cart emails can help retailers recover lost sales. What Makes a Great Cart Recovery Email? 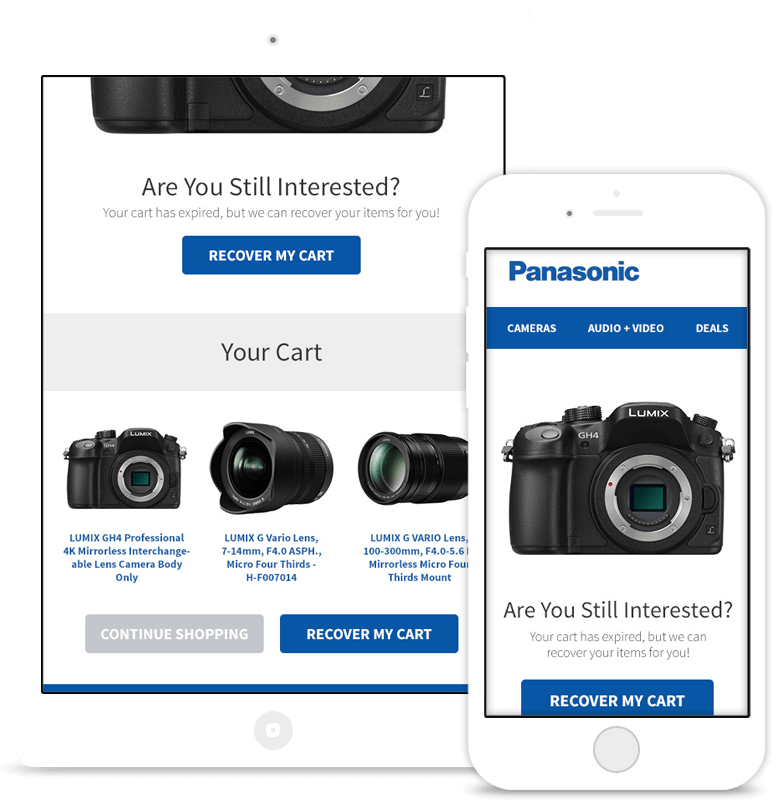 The elements that contribute to a successful cart abandonment email. What Is Form Abandonment and How Can You Avoid It? What causes shoppers to abandon forms, and how the problem can be addressed. 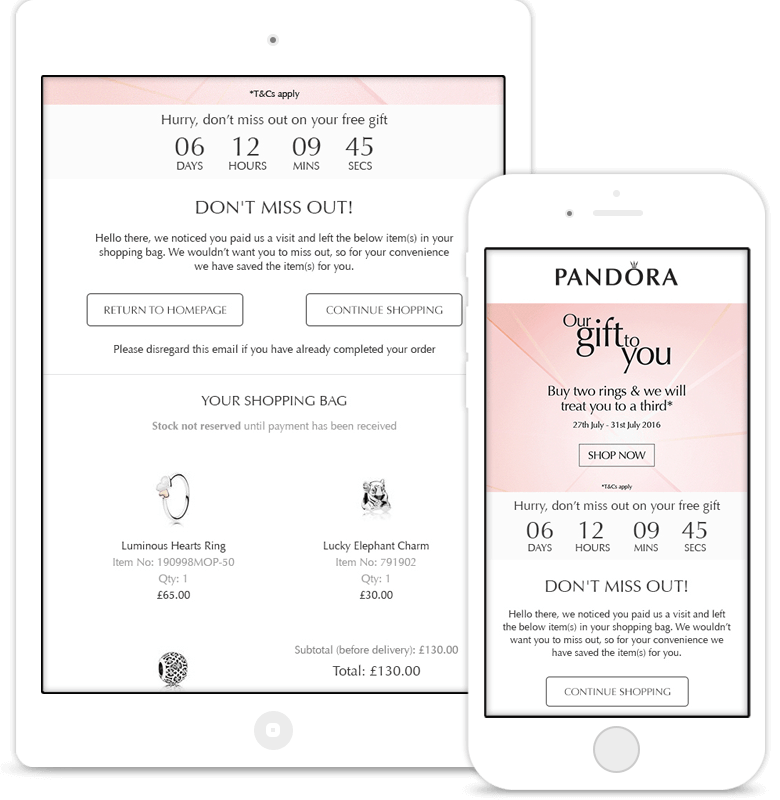 A closer look at seven examples of game changing remarketing emails. Why Do People Abandon Financial Applications Online? How finance sites can make form-filling more palatable for users. 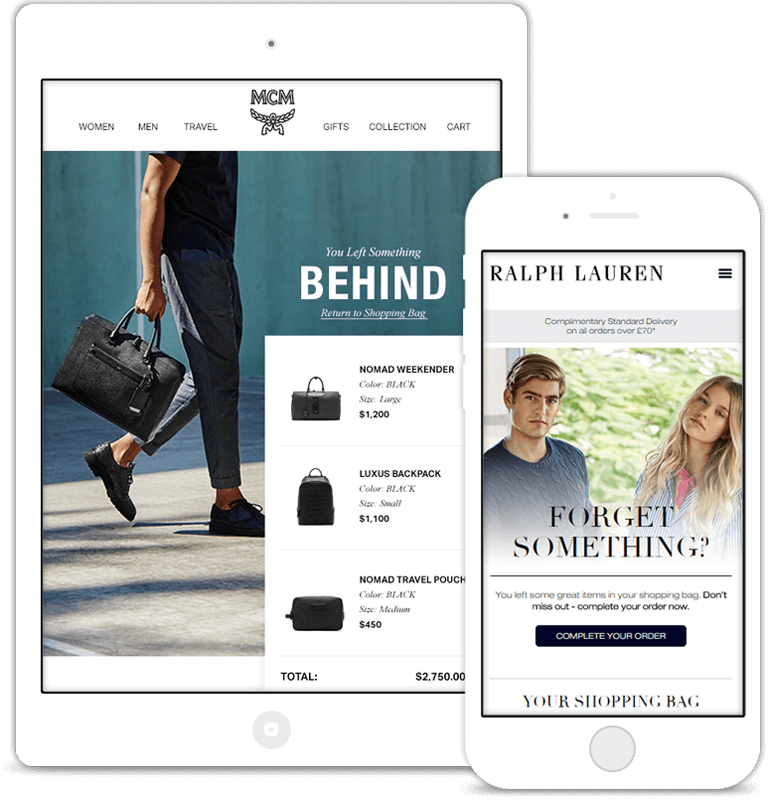 See how Monsoon used cart abandonment emails to reconnect with their hottest prospects and increase their online sales by over 4%. Got a question not covered here? Check out our FAQs page for more. 01 How do you send the emails? Your choice. We can send them for you, or integrate with your ESP. We’ve got partnerships with all of the world’s leading email service providers and marketing clouds so getting setup couldn’t be easier. 02 How long should I wait after abandonment to email? We recommend sending the first message within 1 hour, but it’s completely up to you. We can show you industry benchmarks or you could split-test different times and let your customers show you what works best! 03 Will our customers mind? … It’s our favourite, and easiest question to answer. Our clients see an unsubscribe rate either lower, or equivalent to, their traditional email marketing sends. The relevancy, and customer service approach we recommends, ensures that customers respond really positively. has not only improved our numbers, but it has improved our overall customer experience. The response to our timely and well-designed emails has been outstanding with 37% of clickers going onto complete their bookings online. They have an impeccable track record for success, and pay close attention to the details.